Susan was born in Jackson, Tennessee, she attended Rhodes University in Memphis. After a short time in Houston, Texas she moved in 1979 with her family to Nashville. 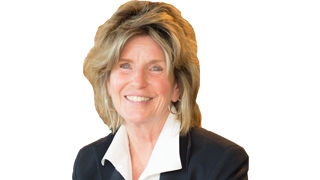 Susan started her Real Estate career in Houston in 1974. She got her Tennessee license as soon as she got to Nashville, and has worked in real estate full time ever since. Susan received her Broker’s license in 1982. Over the years Susan has specialized in Relocation (working with Buyers and Sellers being transferred in and out of Nashville) and new home construction. She was the Broker for Burton Hills Properties when Burton Hills was developed and was the on-site sales person for all the new home construction. Susan has been a member of The Greater Nashville Association of Realtors and National Association of Realtors since 1979. She received the Life Member “Awards of Excellence” from the GNAR in 2003 and the Sapphire award from GNAR in 2006. She received in 1987 the Greater Nashville Sales and Marketing Council Professional award for on-site Realtor of the Year. Susan specializes in Areas 1, 2 and 10 ~ from downtown Nashville to South of Franklin and everything in between. She works with both resale homes and new construction. Susan has two boys and four grandchildren. She is an active member of Brentwood United Methodist Church. When taking a break from real estate, she enjoys running, entertaining friends and family at her home, and going to her home in the mountains of North Carolina. She is a member of the Delta Society and through training at the local chapter, Therapy Arc, she and her dog Lucy are qualified to visit hospitals, schools and various other places, which they do on a regular basis.